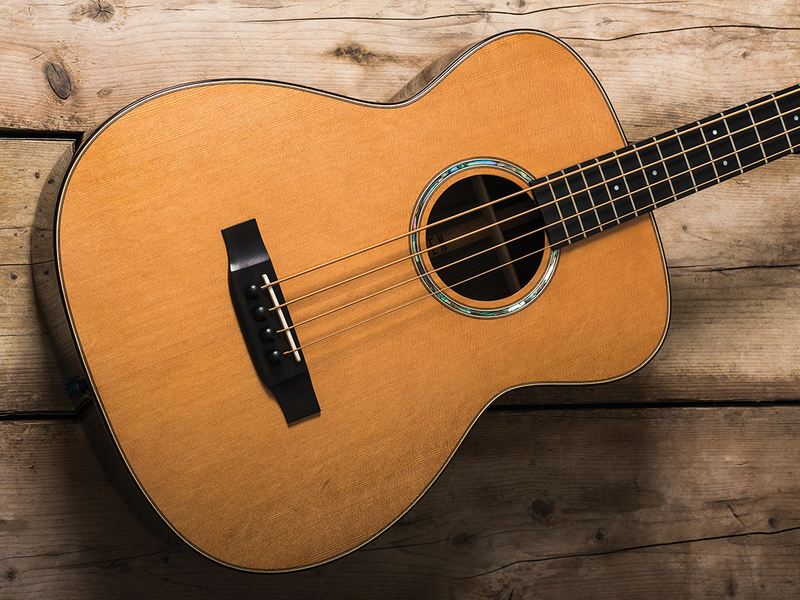 Auden’s impressive range of retro-vibed, quality acoustic instruments gets a four-string addition to handle the low-end duties. Many bassists consider an acoustic four-string a luxury rather than a necessity, even in this unplugged age. If so, then Auden’s Bowman (named after head luthier Rob) is among the ultimate in luxury items. Retailing at just short of a grand and a half, it is aimed squarely at the well-heeled, if not the professional player. Yet there’s no doubt it both sounds and looks as beautiful as the Julia six-string we were so taken with last year. The AAA-grade cedar top and Indian rosewood back and sides have been treated with a thin yet resilient undercoat and gloss topcoat, while the classic combination of mahogany neck and ebony fretboard is surmounted by surprisingly generous-sized frets. Machineheads are pearl-backed and smoothly responsive; you’ll need to supply your own tuner, though, as unusually there’s no removable preamp ‘block’ in the player’s eyeline. The neck is a comfortable handful – electric bassists will find the feel familiar – and the ease of playing undoubted. 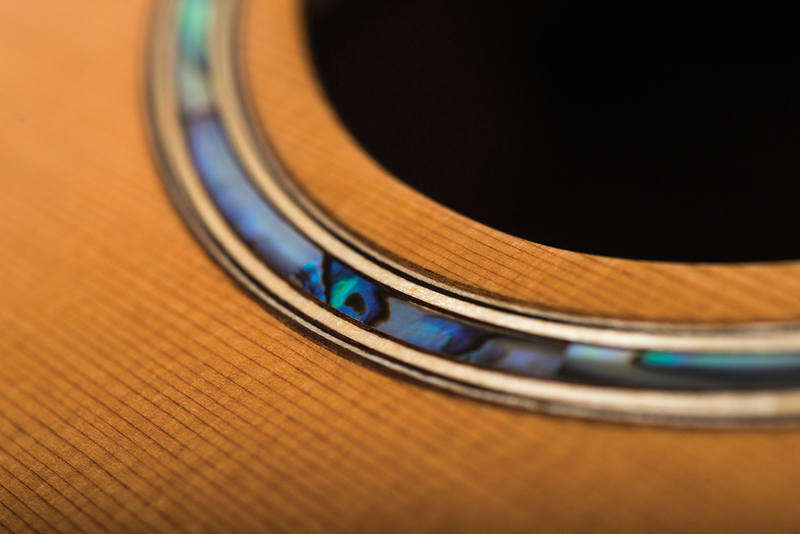 Truss-rod access is via the soundhole, but the action as supplied requires no adjustment. Balance on the strap is a touch neck-heavy, though many would play this kind of instrument seated. Unplugged, the bass is resonant and loud, especially considering its compact size. Yet acoustic basses need reinforcement in the face of six-string competition, and the Bowman has the Schertler Lydia system on its side. 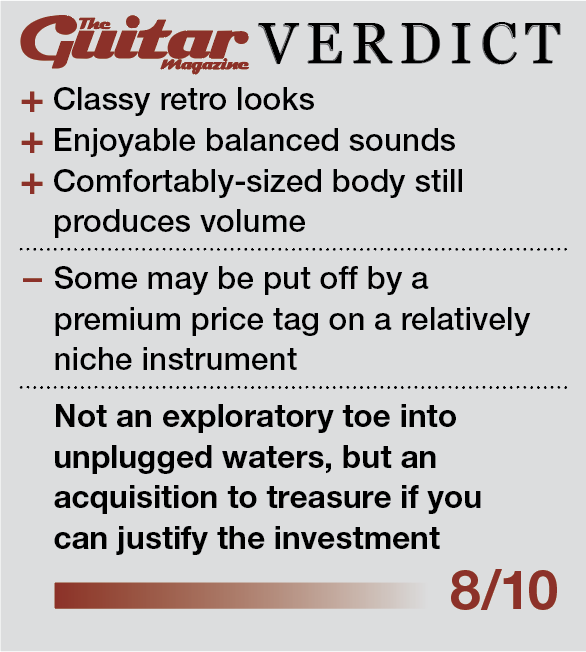 The EQ works with an under-saddle transducer, and the result is natural and uncoloured. 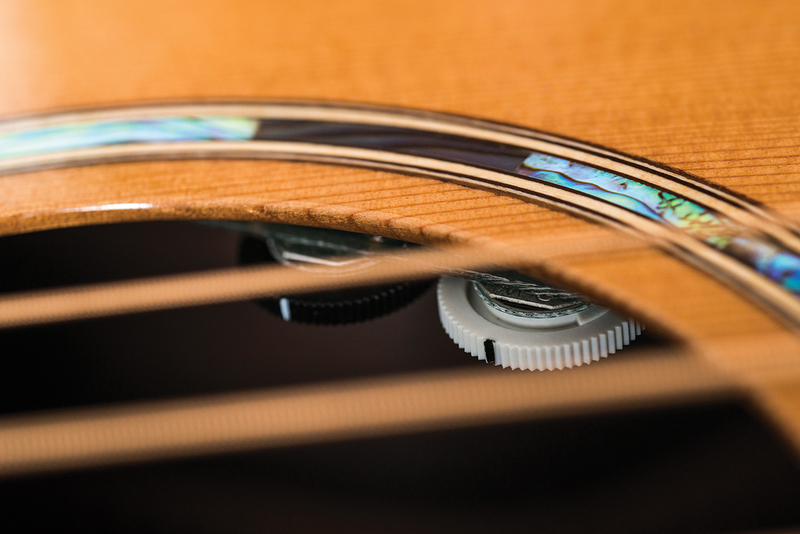 Three knurled wheel controls – two volume, one tone – are discreetly mounted in the soundhole, the lithium battery nestling against the inner top bout. The Bowman is effective played through a battery-powered busking amp at a session, while blasting through a bigger rig in a rehearsal room necessitates turning both treble and bass down and using the amp controls to avoid unwanted noise. You’ll look in vain for a clue to the instrument’s origin – in fact it’s made in China. The guitar is described as ‘bench-grade’, meaning the craftsmen who hand-build the Bowman each complete a stage before passing it to another bench. 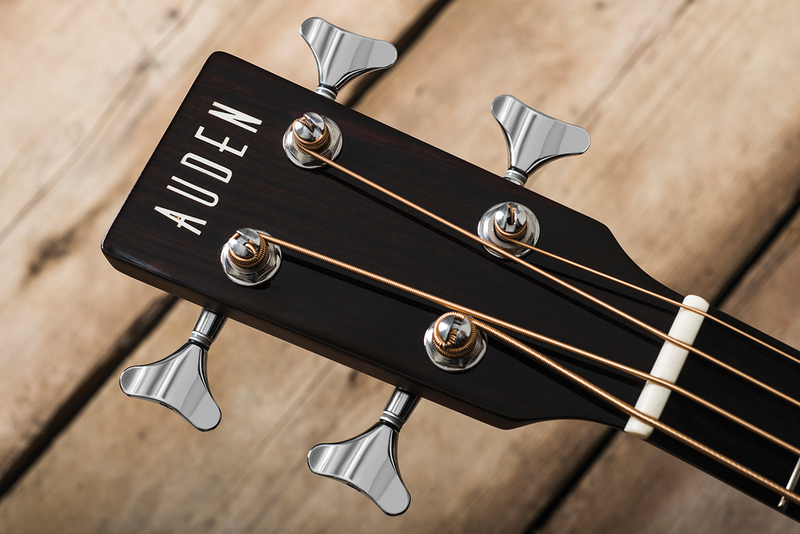 The fit and finish is impossible to fault, and if you’re raising an eyebrow at a £1,500 Chinese-built instrument, take solace in the fact that Auden installs the hardware and dresses the neck at its UK workshop. The faux-leather case included is also a thing of beauty, and in itself it would cost you well into three figures – and who wouldn’t want to protect a bass this good-looking? Whether you’d be happy subjecting it to singer-songwriter night at the Dog & Duck is another matter, but wherever we test it, the Bowman receives admiring looks. Understated and beautifully proportioned, the Bowman may yet prove a future classic.